US Senate Rejects Bid to End US Support for Saudi Campaign in Yemen - Integration Through Media ....! 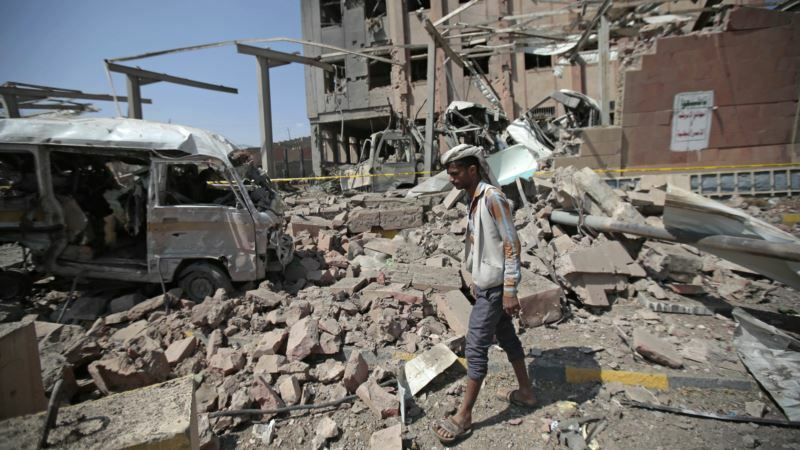 (VOA): The U.S. Senate on Tuesday killed a resolution seeking an end to U.S. support for Saudi Arabia's campaign in Yemen's civil war, the same day President Donald Trump was due to meet with Saudi Crown Prince Mohammed bin Salman at the White House. The Senate voted 55-44 to dismiss the resolution, which sought for the first time to take advantage of a provision in the 1973 War Powers Act that allows any senator to introduce a resolution on whether to withdraw U.S. armed forces from a conflict not authorized by Congress. During Senate debate before the vote, some backers called the three-year-long conflict in Yemen a "humanitarian catastrophe," which they blamed on the Saudis. Independent Senator Bernie Sanders noted the deaths of thousands of civilians, displacement of millions, famine and potentially the largest cholera outbreak in history because of the conflict. "That is what is going on in Yemen today as a result of the Saudi-led war there," Sanders said. Senator Mike Lee, a Republican backer of the resolution, stressed that it had been in the works for some time, and was not timed "in any way, shape or form" to coincide with the Saudi crown prince's visit. "Saudi Arabia is an indispensable partner in the region, without which the United States would be less successful," Lee said. The vote was largely along party lines, although a handful of Democrats voted with the majority Republicans to kill the measure, and a handful of Republicans supported the failed effort to let it move ahead.